Liz Lothrop Update: Relay for LIFE ! 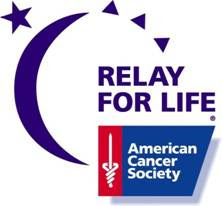 If you didn't already know, I have recently joined the Relay for Life team at the University of Cincinnati with the American Cancer Society. Relay for Life is a huge event that we put on around the end of April and it raises a lot of money for cancer research as well as lifts up the strength of cancer surviors. The motto for this event is “Relay For Life Represents the hope that those lost to cancer will never be forgotten, that those who face cancer will be supported, and that one day, cancer will be eliminated.” They have asked me to be the chair of the Luminaria service for this event and I am happily taking on the responsibility. If you are wondering what this service is, it is the night of the event where everyone lights a candle with someone's name written on it around the track on campus. This is not just for college students! We want as many people as possible to come and to be involved! I have a favor to ask from all of you. Along with this service, they are thinking that they would like a slideshow to be playing all day with cancer survivors pictures and their favorite quotes/stories, and they have asked me to help with that as well. Sadly, I am sure that almost all of you know someone who has had some type of cancer or is still fighting. I ask that you send me a picture of them along with their favorite quote so that I can start to gather these things. We have not had a meeting yet so I don't know for sure if I need their names or the type of cancer they had so you can go ahead and tell me that as well just in case. Also, please pass the message on along with my email address! (Catherineclothrop@hotmail.com) These don't need to be people I know or know through you, I just need as many as I can get becuase we are celebrating their strength! And we are celebrating that one day cancer will be eliminated! Thank you all so much for your help and I am looking forward to getting this started! Cat this is wonderful! I am so proud of you for taking on such a big role in such an important cause! You are an amazing big sister:) I will send you some pictures and quotes this weekend of two people I know who have had cancer. Love you girl!XOXO!! Sadly - we have been hit by Cancer. Let me know what you need and I will provide if we have it. i need a picture and a favorite quote/bible verse from each! thanks! chemo for breast cancer. I'll try to send it after the Holidays. I'm proud of you Catherine, you are such a go getter. Good luck with this big task ahead! Liz's attempt to get you to give blood tomorrow! Blood Drive in honor of Liz! From our friends up north!!! Can you say, "Abuelo's" December 16th? OK, had to try one myself! Wondering what Liz has been up to?